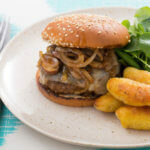 This beef burgers with mushroom recipe is well worth knowing about. It might be one you want to add to your weekly meal rotation. 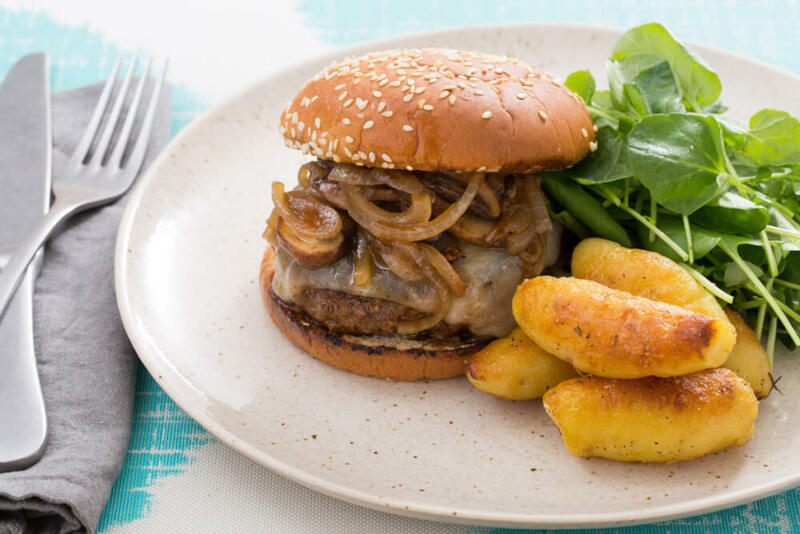 Kid-friendly and a winner with the grownups to boot, this is a popular go-to meal, and if you never thought of stretching out your burgers with mushrooms, read on and discover a new favourite. Make your beef mince go further by adding mushrooms. Not only will this cut down on fat and calories, but it's also wallet-friendly! This is a great way to get fussy kids to eat well because they won't taste the mushrooms you've hidden inside the burgers. The mushrooms give the meat a good flavour and they stretch out the meat. In addition, they help keep the burgers juicy. Serve beef burgers with mushroom alongside your favourite side dishes. Perhaps mac and cheese or cauliflower cheese would be a good side. Others might prefer roasted beets, steamed asparagus or potato wedges. You might like to pair them with salad and relish, in pita bread or burger buns. Pretty much anything goes with these really. If you want to try something new, swap the beef mince for chicken, pork or turkey. Finely chop the mushrooms and onion in a food processor. Add the beef, herbs, tomato puree, breadcrumbs, salt and pepper. Pulse for a few seconds each time until the mixture just binds. Shape the mixture into 6 burgers using floured hands. Cook them in a skillet or on a griddle for 12 - 15 minutes, flipping once.